I brought my laptop with me tonight. I have two hours to sit and wait while my son, Austin is in a class. This class is at the Ohio State University and is for college-age students with Autistic Spectrum Disorders. The parents sit in the waiting room while our kids are instructed on ways to manage the emotional upheaval that comes with their condition. I’m not going to pretend that it’s not hard. This isn’t a club I wanted to join. My son has struggled just like these other young people. All of them want friends and social lives but aren’t always easily approachable because of the social dysfunction component of Autism. As a result, feelings of sadness, isolation, rejection and loneliness become a frustrating fact of life. Hearing them express their feelings physically hurts my heart. My chair happens to be outside the door. I don’t want to listen yet I do want to listen…two contrasting realities. It’s interesting to observe how each parent copes with sitting in the waiting room. One has on headphones tuning out the noise. I’d pay him for those right now since another mom is chatting on her cell phone and is so loud that the whole campus must hear her spine-tingling discourse on who has the best fried shrimp in town, what she had to eat today, who is bugging her at work, the last restaurant she went to was way too expensive and the fried shrimp was just okay and on and on. I need anger management tips…wonder where that class is! For the love of all that is sacred, people need to learn cell phone manners or just plain good old-fashioned manners, for that matter. But, is this her way of coping? For us, there is some comfort in the mundane, since days are typically unpredictable, so shame on me! Maybe my clicking away on a laptop is annoying! Not to mention, fried shrimp sounds good all of a sudden…sigh! Anyway, I notice other parents are reading books. Yes, I said books with pages and everything! I think that says a lot. First, we’re all older parents and have obviously been bypassed by the e-reading generation. Secondly, we savor any free moment that doesn’t involve managing the schedules and care of our kids which only we can understand. There are such highs and lows…again, two contrasting realities. As I survey the room, I conclude that all of us look weary and tired. Oh, if I could read minds. All we want is a cure. A waiting room filled with parents who love their kids and just want them better. There are amazing gifts that come with Autism but the hurts often overshadow the endowments. We rush to fix a hurt long before we applaud a talent-it’s just human nature and definitely, Christian nature. Our hearts are touched with compassion before our minds are stimulated by ability. It’s simply the character of God. Tonight, my heart wants to be a first-responder in this relief effort. I want to make everyone feel better but all I can do is sit here and wait. I can pray but I still have to wait. I’m not just waiting for class to be over… I’m waiting in a different way. God is the forever first-responder and brings our much needed relief but it’s our choice to look at things or look for Him. I promise you this, if your hope is in Him… He is always worth the wait. God Morning! (It's not a typo!) A new post is up and I hope you get a chance to read it. I pray it ministers to your heart because all of us are waiting in one way or another. The goodness of God is a constant source-a river of love flowing into us every second of every day. Today, I pray that we can be aware of this gift anytime the enemy brings a thought otherwise! We are His BELOVED! He is blessing you right now! Enjoy! What a lovely post. The waiting room yes we all are waiting in one way or another! We know God is our first responder to meet all our needs. Sometimes it's hard to understand why we go through certain things being saved and living for Jesus maybe I should speak for myself! But when I look at Calvary and what Jesus went through to redeem mankind that's true love like no other! Have a Happy Thanksgiving to you and the family, the journal family and everyone at WHC! This is a lovely post of a Mother's love. My Mom gets upset when I am in pain which is sadly all the time at the moment, but I know God loves me and he will not allow me to suffer too much. I am a Self-admitted "silent stalker"... always anxiously waiting to read your next journal entry; always comforted by the way you put such difficult thoughts and emotional/spiritual "wrestlings" into such perfect words. I just wanted to thank you for your transparency and ability to say things in a way that make it so easy to relate to you. Your post brings such comfort to this mom....a reminder that our family is not alone. Our son was only 4 wks old when we we picked him up from Children's Hosp. and made him a part of our family. He had suffered severe neglect/abuse and his life has been a pattern of struggle, miracle, struggle, miracle....and we are back to "struggle". He has so many social, emotional and physical "diagnosis" that it can feel very isolating to manage it all. We love him beyond words and have committed our lives to him but I feel guilty for feeling utterly exhausted and overwhelmed at times. In addition, my husband and I are in ministry and feel the added responsibility of living through this in a way that brings glory to God....always - no matter what. You help me balance myself on a regular basis! Thank you. ***We REnamed him "Josiah" as a reminder to the enemy that every time we say his name we are claiming- "He who Jehovah HEALS!" warning: shameless "mom story" ;-)When I woke up at 6 this morn he was propped on a pillow with his legs crossed, "reading" pastors new book. He would read "One Man.." then flip some pages and read, "One Tree......" then flip some pages and read "One Friday." He turned one last page and "read' " THE END!" Then said "This is a GOOD book mom! We know something of the isolating nature of autism. While our three are far from Austin's age we sympathize with his situation, and yours. You and Pastor have been a great role model for our family, and we are grateful for your example. Your honesty and heart shine right through your words. As you know we are all blessed in Christ! I wish I could have what you have a husband and family but it's something I will never have! So just wanted to encourage you with your situation and the little ones they can bring so much joy to your heart! Be blessed! Hi Mrs. Joni hope your having a great day! Wishing You , Pastor and your Family a Blessed and Happy Thanksgiving ! just a thought but the autistic world would so benefit from a book written by you and co-authored by Austin with inserts from family and friends...who know the truth about Autism AND know God's miraculous ways of God's sovereignty in their lives....Austin is a sign and wonder! I must apologize for not praying more for your family and most of all your son. I have heard through the years about Austin and how there are struggles with Autism. When it was mentioned in church I would join in and say a prayer as the congregation prayed. From time to time I would think of Austin and pray. But not until recently have I had the opportunity to come face to face with Autism and Asperger syndrome. After starting a christian childcare center, I have had children enrolled with these conditions. They are 2,3 and 4 years old. It does not take long to realize the difference in behavior from the other children. My heart goes out to the parents who do not realize what they may be facing in the future. God has me praying over every little one there and their destiny for the kingdom. I have to say, I see only a glimmer of what you may have experienced in life and wish I could express to others the prayer covering that truly is needed. The Lord has touched my heart regarding this and I will make the commitment to pray. Our congregation is family and our family needs prayer. Be blessed in Jesus name! God is sooo faithful and so on time!!! Amen Sis Joni!!! I do admire you and your family for the grace in which you are walking through this process. I can not pretend to understand what you face on the daily; but God has graced and favored me to work one on one with children with one type of comelpex issue or another. Of course at first I felt punished rather than blessed; but God the Holy Spirit taught me mighty lessons during these years; I learned that the only special need these children have is THE NEED TO BE TREATED WITH UNCONDITIONAL LOVE, ACCEPTANCE, PATIENCE, KINDNESS ALL THE FRUITS OF THE SPIRIT; NO ROOM FOR SARCASIM, FITS OF INTOLORANCE; when caring for these children we have to choose our words wisely, manage our tone attitude be at peace within ourselves cosistantly; no flip floping; no one day we feel like a nut and the next we don't if we want to have any success with them. Isn't this what God says in Cor 13? I hope by now you've heard and even read Pastor Rod's latest book, "The Cross". The sub-title reads, "One Man, One Tree, One Friday." Just the cover says enough if you really think about it.... so, think about it just a minute! The best way I can describe "The Cross" is that it's not just a book, it's an experience. I have this recommendation - read it and weep! Within these pages, you'll discover what was purchased and made available to the child of God. That said, it's a beautiful love story...the greatest one ever told! Most love stories have an end or at best, a "happily ever after". There is no end to this story - this love offers a forever. The symbol of this love is not a valentine-style heart, it is a cross...simply put and simply said. The Cross is sacred...also simply put and simply said. It deserves a place of singular honor and prevalence in our minds and thus, our lives. This Sunday is Worldwide Miracle, Healing and Prayer Cloth Service. We will be taking prayer requests to the foot of the Cross. We've built an indescribable likeness of Calvary on our church property and words cannot do it justice! One of the most powerful servants of God alive today (and I don't say this often) will be praying, along with Pastor Rod and many others. If I could choose a person to pray for me Reinhard Bonnke would be in the top three. I remember being in a room, during Dr. Sumrall's Campmeeting, and feeling the power and presence of God all of a sudden. When I turned around, I saw Reinhard Bonnke-he defies description. You have time to get involved! You can get a prayer cloth and request in before this Sunday by going to the website at rodparsley.com. This is not just any given Sunday...it is One Sunday with One Man - His name is Jesus and He is the only One Savior. Please join us...I promise you'll receive HIS promise! We have a great weekend planned but beyond that, it is significant. I believe the Holy Spirit has something very special that he wants to do in our lives. I'm not one to say something that I don't mean-ALL of us need to participate in these services. If you have a need for yourself or someone else, get involved through rodparsley.com.where you can get all the details. Above all, please join live or online and PRAY! The Valor students have been gathering every morning and evening for a time of prayer. The other night, I joined them and I was so moved just watching these young people seeking the face of God. The atmosphere has been prepared and as PRP says, 'IT'S YOUR TIME, FOR YOUR THING, FROM YOUR GOD!" Also, if you're local, please join me Saturday morning at 9:30 in the Mac Cafe at WHC for ReCharge-our Mom's group. No matter what age your kids are, you're invited! I'll be sharing on a subject that all of us face as busy schedules sometimes drain us. What can we do to refill and prevent depletion? Come Saturday for the answer! One way or the other, I'll see you Sunday for sure! You Cannot Miss It! Be Blessed in Your Service to the Most High God! LaRetha - thank you for your kind words. People say to be effective in the Church you must serve and have a servant's attitude. I have been a civil servant almost all of my adult life. You serve your superiors without questioning because it is your job. I know how to be a servant. It was my job to make my supervisor look good by doing a good job and sometimes got some credit. The Lord Jesus set aside his crown to come to earth to die for our sins so that we could live. Jesus was the ultimate servant even to his Father God. He is our example of how we are to treat each other. Last year I volunteered for the Summer Special Olympics that was held at OSU in Columbus, Ohio. I served the Handicapped in the volleyball trophy ceremonies and I served the most severely Handicapped when I helped hand out their lunch and drinks. While they were passing by I was also whispering prayers for them. Not big things but it was an honor for me and so humble for them each to thank me and the other volunteers. Beautiful message! I have already released my prayer request, and I am expecting God to move mighty in my life and the lives of my family natural and spiritual. I also pray daily for this weekend service. I know God will shine upon the His and His people. I know prayer will be answered and chains will be broken. I know the Church is about to expand like never before and the enemy can't stop this MOVE! HALLELUJAH!!!!! Actually I have not yet bought copy of the book but I definitely will get one. To me God's love is AMAZING AND AWESOME! I can hardly wait to watch the upcoming services. Will be praying and believing for our miracle! Getting ready to watch breakthough on demand for today and then I might find a movie on netflixs to watch. Tonight is my night off from work so I can try to rest and relax. have a wonderful weekend love you all and see you Sunday online. Thank God that I finally got a car! I’ve been quite busy lately and the list just never seems to end! Thank God there is a light at the end of the tunnel!...Sometimes we just have to keep seeking for it! Well, one thing for sure, I will never get too busy for and that reading my Word. Seek first His kingdom…Well Miss Joni, I just wanted to say “Hi” and tell you thank you and Pastor so much for all your prayers and your love! Welp, gotta get back to finishing up reading MY WORD for the day!…It’s so Yummy for my tummy! What a beautiful morning we woke up to here in Ohio. When I opened my kitchen curtain I truly enjoyed the view of the snow covered trees and streets and was reminded of a line from a Christmas song : “Walking in the winter wonder land”. I took our dog out and she was hopping in the snow like a little rabbit. It was so cute ! In the other hand our son wasn't that happy because he had to scrape the windows on our van ,well he wanted to drive it to school so he had to clean it !!! I enjoyed attending the Recharge meeting for moms. I learned a lot from your teaching and I also enjoyed the stories as well. Thank you for opening up “Recharge” for moms of kids of all ages. I don’t have young kids anymore but I always can use some advice and insight from other moms experiences . Makes me feel better to know that I’m not the only one who goes through some struggles time to time. Being a mom is not an easy job but the most rewarding job ever! It is such a privilege and honor to know that God blessed us with children because He trusted us that we will be able to handle it and raise them up the best we can. I am beyond thankful to be able to attend the Sunday Night Prayer Cloth Service. I cannot put it into words the atmosphere we experienced there. Pastor Parsley and Reinhard Boonke’s preaching was just absolutely fantastic ! It was so wonderful to see the Church full even the risers and the expectancy from the peoples heart just filled the room in a very special way. I believe no one left empty and I certainly left with a high expectation that our prayer requests will be answered. I firmly believe we will hear countless number of miracles of all kinds answered by God through this wonderful and anointed service . I would like to encourage those who weren't able to make it to the service to watch it online!! If someone who reads Joni’s Journal is in a need of a miracle this is the time and the season to act NOW and request a prayer cloth !! It is not to late ,prayer cloths are still available !!! Thank you for encouraging me, and I am sure many other women, to fully participate in the Prayer Cloth service! Your presence with Pastor, as seen online on Nov. 10th (twice), was like a spark spreading His revival fires - raising my level of expectancy. I am witnessing God's Hand moving in my family in very significant and wonderful ways since last Sunday. Thank you WHC family for your prayers! Pastor's book is magnificent! Last week I had just had received a negative letter in the mail telling me that I might owe lotsa and lotsa money and that I wud even have to get an attorney to handle the matter! “What the? !” I have been going and going trynna get things taken cara from this accident and find a car and then this pops up! As I read the letter, my heart wanted to faint, but instead I put the letter on the refrigerator and said, “God, I believe this is yours!” After all that God has been blessing me with, I knew that the devil was trynna steal my peace because that’s what thieves do! Steal, kill and destroy! I totally had forgotten about the letter until I received the call saying that the letter was an error. As we watch the suffering people in the storms, how can we not realize how blessed we truly are? How can we not give God praise for the hot meals that we eat on a daily basis? How can we not just give “Thanks”. Though this year has been quite rough, the good news is that I made it through all my roughness and God has proved Himself over time and time and time again and yet one little letter will try and ruin everything. I do believe that letter was sent by God and it was used in order test me. Faith is a fight and we must continue to fight indeed. We were made for the battle and through our fighting we will be refined and once we are refined, then we will be stronger for the next fight that may come our way… it’s really all about who you choose to believe and though faith comes through hearing and hearing, we read that it also requires action. When I got that letter, I immediately acted by saying, “The Blood of Jesus!” and then I wenta casting those thoughts of fear and torment out the door and told the devil that he wasn’t welcome here and I began to thank Him for all that I have! Now at the time, that there took faith and through my fight, God was faithful to show up! Is the prayer cloth available to the woman & man of God in the United States only or can i get hold of it as well in South Africa? I just saw the broadcast about the "Cross" by Pastor Parsley this morning on daystar channel and I want to be among those who receive such great blessing from God. I just finished watching last night worship service and heard about Ms. Ashton not feeling well and how the enemy is trying to come against pastor and the family. My heart and prayers are with you all, I know you all will be fine in Jesus name! I believe the reason the enemy comes against you and pastor so hard is because you all have genuine love for Jesus Christ and pastor teaches people how to love one another in the Lord all he knows how and the devil does not like that. But we know as saints of our living savior Jesus Christ we dont even worry about what the devil likes he is DEFEATED. I hope you feel better soon! It was nice to see Ms. Ashton and Mrs.Lisa feeling better today. Good to know that Mother Parsley and Ms. Amy are ok I will be praying for you all and thank you for your prayers for me. Love you all! Well, a lot has happened since I wrote part one on this topic. Nonetheless, it’s still a very prevalent subject in my own personal “civil war”. I’ve written a great deal on perspective and how we can be our own worst enemy. For years, I’ve said that “growth is gaining perspective and Christian growth is about gaining God’s perspective.” What would life be like if we could just be Christ-minded; to see what God sees and how He sees…and not just some of the time. We are trained to look through the eyes of someone else; always wondering what they may be seeing or thinking. If we’re not doing that, we’re measuring things on our own yardstick. When that happens, not only do others fall short of the mark but so do we. Let’s not even get started on how we see our circumstances! I’ve certainly cried a river or two while drowning in self-pity and gasping that, “No one could possibly have as dreadful a life as I do”! There are moments that my lack of proper perspective gets interrupted and I think sensibly and apologetically. I’m humbled by God’s grace that lines me up and out and does so as He guides me into maturity…even when I’ve behaved in child-like fashion. That’s a nice way of saying that I’ve acted like a teenage brat! Our battleground is in our minds. If we’re not renewing and refreshing them in God’s Word, then we only have the stale imprint of past failures and a defeatist attitude making sure we notice them. We can have the world’s outlook, our outlook, or God’s outlook. The choice seems simple but isn’t. It takes work and determination to keep thinking what God says about you and your circumstances. It’s actually a compliment when things get tough. God is saying you’re tough enough to handle it and He’s got you covered; there’s scripture after scripture that says so but we have to read it to know it! The Bible isn’t a buried treasure but it sure is a treasure when we’re buried! It’s easy to know the beginning and the end of something…it’s the “in-between” that’s the difficult part! That’s the time we have to trust that when it’s raining, God promised a rainbow. I know it’s trite but in the meantime, I’m grabbing an umbrella! A dear friend sent me this poem that I read as a reminder to keep proper perspective so my attitude will then follow. When you read it, you’ll know why I call this battle “The War of the Roses”….. I woke up early today excited over all I get to do before the clock strikes midnight. I can be glad that my finances encourage me to plan my purchases wisely and guide me away from waste. I can shout for joy because I have a job to go to. I can feel honored because the Lord has provided shelter for my mind, body and soul. What today will be like is up to me. I get to choose what kind of day I will have!!! Have a GREAT DAY… unless you have other plans. We can be encouraged and work toward sculpting the outlook that will help us to thrive and survive. Life can be tough but God knows we're tougher! We have to believe in who He believes in...that means US! We have His spirit and "We are more than conquerors." Conquering our own self-doubt, and the negativity around us, will always be a fight but we can stand strong on the foundation of love and support that God gives us. WHAT or WHO can shake that...really?! Take a good look, and I mean LOOK for the good, in your life today...count your blessings and I promise you'll feel hopeful and better about everything! Wow! That is so powerful! We can either believe our future is determined by our past or by what He says about us. Its not easy but believing the truth of what He says is so much more worth it. You put everything back into perspective. We are who He says we are. Our past is cancelled. Thank you!!! Amen!!! Sis. Joni, this is exactly where I am living ESP over the past weeks as we are being lifted we we belong as children of the Most High God!!! Inspired to dream again!!! God is an awesomely good God. We have trivialize words so much that they seem light and ineffective to capture the essence of the sentiments being expressed. In the middle of reading Billy Graham's Nearing Home /Life, faith and finishing well/ he speaks on topics as Retirement and thankfulness...Nearing home with thanksgiving...Pain:A tool not an excuse...Becoming more Like HIM...Great read I believe. Well I am at work right now I said to my patient a few hours ago that The USA is a blessed country there is no place in the world like it God has been faithful in spite of our faults and failures God has been good to us. Time will fail me to list the ways, but to name a few, the world look to America for help at all times even when they are burning our flags they expect us to run to their aide, we have access to a vast amount of information. I ask the Lord why was David a man after His heart, in-spite of his-mistakes He said that David was quick to repent and was always mindful of how he got to the palace. Abraham, Jacob, Noah, Moses were always close to the alter they feared and believed God. I am learn over and over to trust in God whole heartedly consistently!!! WOW. Such a way with words. Thanks for the reminder slap.Needed it. 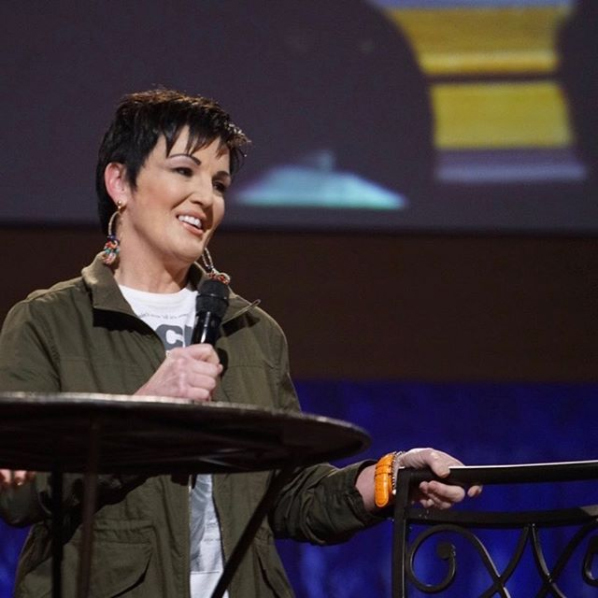 Of course a special, special thank you to Pastor and Miss Joni, I wanna truly thank you from the bottom of my heart for all that you have done and the many fervent prayers that you have prayed for me as you have taken me in your arms and training me to be who I am today! Thank you for bringing out of me the boldness for God and for His Word! Thank you for teaching me that no matter what, I am not to compromise and how to fight for what’s right. I will not bend and though I may be down at times, you have taught me to look up! I will forever be thankful to you for pouring into me everything that is in YOU which gives me the courage to speak truth and gives me the will to go forth and the wisdom to make the right decisions as God leads me of course! For this I truly love you both! We must continue to pray fervently for Israel and Prime Minister Benjamin Netanyahu and the leaders of Israel to make the right decisions and definitely continue to encourage them that they have nothing to fear but God alone. Your recent post was quite timely. I have been going through spiritual warfare for two years along with all the other daily things we encounter. The scriptures that says we can do all things through Christ that strengthen us. God reminds us we are strong and sometimes we forget At times things get overwhelming and I start to think about all the blessing I do have and that I belong to Jesus and that puts everything in proper perspective real fast. Thank you for your realness that you include in your journal writing and thank you for your prayers truly appreciate them. Your new photo on your journal "cover" celebrating autumn is beautiful! In your last post I especially appreciate your reminder that God's outlook in the war of roses reveals that God believes I am tough enough to handle "it". Also I must share with you, when I am in the middle of "it" God often gets me laughing as I hear you saying (when you and Pastor sat and talked with us during a somewhat recent evening service) something like - I don't need to read fiction, my nonfiction story is exciting enough. Joni, you are irreplaceable as you bring good tidings, reminding us Our God reigns (Isaiah 52:7). I pray you sense Him mightily in the midst of you today, rejoicing over you and your family with joy and glorious singing (Zephaniah 3:7). "Grace is God's best idea...more than we deserve...and greater than we imagine"
Joni, I enjoyed your post. I am still learning so much about myself and the Bible. I am getting tired fighting battles and need some rest. It seems as though so much has come against me I feel numb. I ask the people of the Journal to keep me in their prayers. I will be in the hospital beginning 10 October, 2013 for lung cancer biopsy. I may get the time to adjust my perspective when I am recovering, I don’t know. I am sorry that I will miss the services with Perry Stone since I was looking forward to that. Well it’s just first things first - one must be a good patient for the doctor. I had a feeling that I'd have a chance to really "practice what I preached" this week...and I was right! I thought about this poem so often! I had several opportunities to be negative or to think negatively but that poem kept coming to mind. I had to battle but I didn't give in even when I wanted to! Giving in or giving up is easier than fighting back. The devil is called our enemy for a reason but the Greater One lives on the inside of us and gives us the power to conquer. Our thoughts are so powerful. A great thought can become a great idea and a bad thought can become a bad idea. Either one can turn into words and actions that have positive or negative outcomes for us and for others. Someone asked me this week what were thoughts that made me feel happiness. I answered and realized that the question was really a good piece of advice. It's an elementary lesson but we can replace any thought with one that is lovely. That's what Phil 4:8 tells us and it's not just a kid's memory verse! However, just like a memory verse, it takes practice. So, I'm practicing and am having plenty of opportunities to do so! Have a great weekend, by the way! Join us live or online at WHC this Sunday. It's a very special service with the launch of PRP's new book, "The Cross". 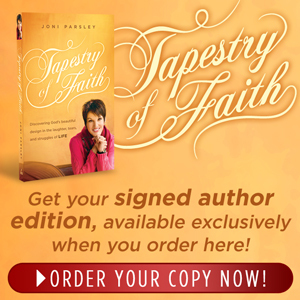 Check out rodparsley.com for more details and get your copy NOW! The Cross can't be a lost message, it must be the ONLY message! Be blessed at the mere thought of all He's done for you! How are you? I plan on getting a copy of the new book real soon. Yes we must keep our thought patterns going in the right direction as the scripture tells us. Because as you said the enemy of our lives the devil tries to confuse us but we know God is not the author of confusion. What gives me a great deal of comfort is knowing that God knows all things because he knows our hearts! When the devil tries to mess with our mind with dumb thoughts we know as saints we would not naturally just want to think silly things. God knows that we do not want those negative thoughts as saints we know better because we are rooted and grounded in Gods word. That is some of the way devil has been fighting me but we belong to God so he has to get back! See you online Sunday I had told you that I would be back to visit you all in October but I wont be able to make it. By God's grace I will visit again. thank you Miss Joni, we do choose what kind of day we are going to have . we can choose to happy or sad me I choose happy rather than sad. because my savior di so much for us . he died on the cross and shed his blood for us may we look to Jesus first to Jesus and choose our day .what a saviour ! what an amazing, lovely post. Rejoicing that Jane is feeling better. Thank you for being my cheerleader. Happy Anniversary and may the next year bring brilliant sapphire filled roses to you and Pastor. (Your photo on billboards in Elkhart are definitely roses to me!). While reading "The Cross", Pastor's new book, I noted on page 151 a quote from William Penn, "....no thorns, no throne" and thought of your post. With the daily challenge of self denial/holding onto Jesus as He leads us "Back to the Future" (Garden of Eden), Perry Stone's 10-13-13 P.M. message, I am comforted by knowing you are cheering for me to focus on the roses as they unveil His beauty in 2013's garden of thorns and roses. Joni, you are a "lily among the thorns" (Song of Solomon 2:2) and I pray His Right Hand embraces you (Song of Solomon 2:6) as you continue to cheer us onto Victory! 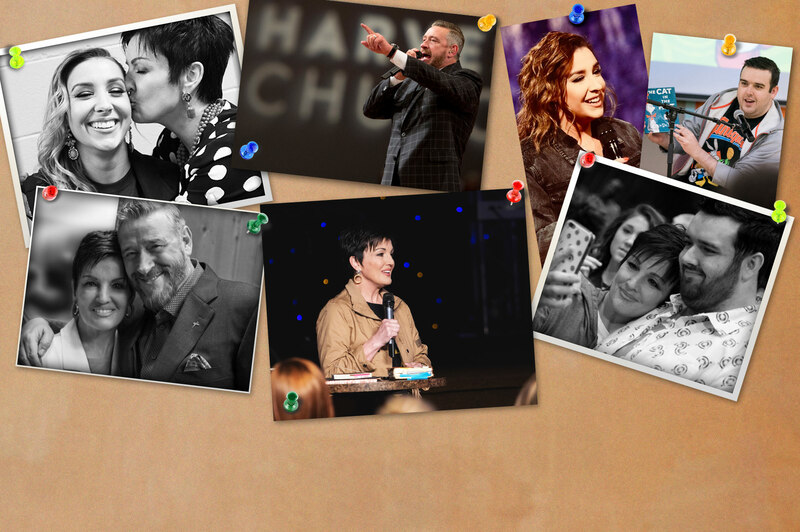 First of all I would like to say how proud my husband and I are for our pastor ,Pastor Rod Parsley for bringing the message of the Cross back to the pulpits of America and around the world. We are also so excited about his new book The Cross : One Man… One Tree… One Friday… . We can hardly wait to have some time to sit down and read it. We are also going to send a copy of the book to some of our Pastor friends. Where would we be without the cross ? I found everything I needed at the foot of the cross -I left my sins and my burden there and exchanged it for a new life. The cross is a daily reminder that Jesus gave His life for me and I have to crucify myself (my will, my flash, my thoughts …etc) daily for Him. This life is not my own anymore I completely belong to Jesus. This world so desperately needs the message of the cross !! I really enjoyed the preaching of Medina Pullings yesterday morning. One word really stuck out for me was "reverence ". I always had a great respect for Gods house and for the Man of God. When I used to work at the Nursing home and it was also a church My pastor and His wife treated me as their own daughter. I was a frequent guest at their house and I also did baby-sit for them and other things as well. I never ever for one moment looked at them differently . I always respected them and I still love them and think about them with all respect. Before we moved here to Columbus I watched my husband serving his Pastor and he did everything he wanted .He treated him as his own son they even went for mission trips together . My husband always had the highest respect for him as the man of God . I watched him as he painted walls, cut the grass or put black top sealer on the entire parking lot and drive way (most of it without pay) because he cared about Gods house. We should always have the respect or reverence for Gods house and for the man or women of God. I think this mentality is greatly missing in this generation. Hope you are well. When we do not have answers God know's that gives me a great deal of comfort. My prayer is not to even worry about things I do not understand. Sure we think about whatever the situation might be but I try not to let it become a worry. I am deterimed not to let the enemy consume me with things that do not go right or the way I think they should because if i do I wont even want to get out of bed and deal with the day or anyone else. So I focus on the things that are good in my life its not always easy. I thank God that im saved and living for Christ all I know how in my heart and knowing he watches me I am in the best hands ever! So I am learning as the saying goes I Am not good with slang but it says DO YOU! Of course in a Christ like way. Because the evil will try to make you feel that God does not even hear your prayers but we know better!